Last week, I returned from my annual adventures at the South By Southwest Conference (SXSW) in Austin, Texas. Each year, I rely on this pilgrimage to recharge my creative batteries. The combination of Austin sun, smart and thoughtful people and dialogs, film, music and more are the perfect recovery tonic from an East Coast winter. SXSW is, literally, buzzing with energy. Music pouring out of doorways and buildings, random celebrity encounters (this could be musicians, actors, politicos, innovators, entrepreneurs… you name it), and great food, coffee and cocktails. You get the picture. One of the fun things about SXSW is the fact that almost every time you turn around, someone is handing you something…for free! This year was no exception, and during the course of my short four days this year, I was given cocktails, coffee, socks (yes, and they are amazing! ), lip balm, pens, and more. Of course, several times I was handed some type of food item. Snack bars, popcorn, Topo Chico (look it up, it is fantastic), and more. All of these are promotional, of course—most promoting the actual item and, quite a few, branded to promote a different product or service. 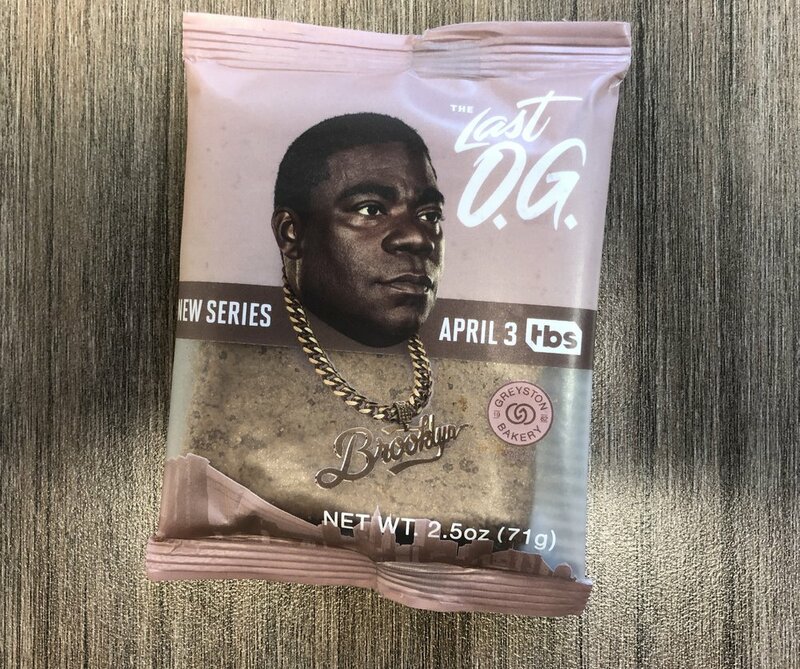 One food item I was handed (a brownie) was for that purpose, to promote a television show—The Last O.G. starring Tracy Morgan, premiering April 3rd on TBS. You’d think, “Well, that worked, Mark is writing about the show.” And, yes, you’d be right, because I just mentioned the show and the premiere date (I can’t comment on the show, having not yet seen it, but I’ll likely tune in), but that’s not what this story is about. I tend to look for the backstory in things. So, I looked at the packaging and noticed the branding and info for the bakery that made the brownie: Greyston Bakery. On the back of the packaging was some information about the show, but also about the bakery and their hiring practices. This led me to visit Greyston.org to learn more about the business. By filling jobs without judging applicants or asking any questions, Open Hiring creates opportunities for individuals who have been excluded from the mainstream workforce. Complemented by community programs that provide employees and their neighbors with additional services that help people keep a job, Open Hiring provides people with the opportunity to experience the dignity of work and improve their lives and their community. If you are an employer, you know that hiring is one of the most important and most time-consuming factors of sustaining your business. Open hiring is a fascinating concept that, for Greyston, appears to be a success in both empowering individuals with the opportunity for gainful employment and pride in a job, and, for Greyston as well, reducing the costs and time spent on the hiring process. This is certainly a concept that many companies and organizations should look into, as it appears to be beneficial for all involved. I’ll certainly be looking into it myself. As my SXSW experience for this year continues to roll around in my head, this is certainly one of the things that will have continued impact on my thinking. So, thanks to Tracy Morgan and TBS for the brownie, and the enlightenment. I’ll check out your show on April 3rd. Oh… the brownie?